Santuck is a small community located in Elmore County, Alabama. It is mostly commonly known for the large flea market held on the first Saturday of every month, March-December. The flea market draws 400-500 vendors from all over Alabama and surrounding states and thousands of shoppers from all over.Santuck has roughly 2000 residences and about 25 small businesses. We are a full volunteer department that has been active since 1972. 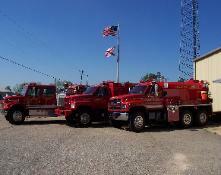 Santuck Fire Department was the seventh fire department to be added to Elmore county. We currently have over 25 active members with a Class 5 ISO rating. 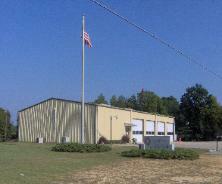 It is the mission of the Santuck Fire Department to protect and serve the community by providing fire protection. We strive to prevent the loss of life and property. We will accomplish our mission through preparedness, prevention, public education, fire suppression, and extrication service. We furthermore strive to be leaders and role models throughout the community and to promote excellence inside and outside of the department.